SIZE : 38 sq. 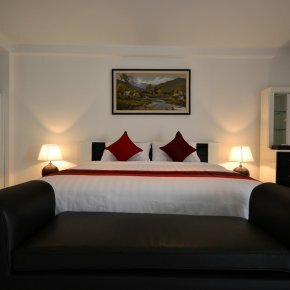 m.
Superior Rooms are designed in modern style, furnishings include the choice of king size bed or twin bed, a living corner with a spacious in-suite bathroom. Stay connected with Wi-Fi access and relax in our comfortable bed(s).